OAK RIDGE, Tenn., Aug. 10, 2018—The first full characterization measurement of an accelerator beam in six dimensions will advance the understanding and performance of current and planned accelerators around the world. A team of researchers led by the University of Tennessee, Knoxville conducted the measurement in a beam test facility at the Department of Energy’s Oak Ridge National Laboratory using a replica of the Spallation Neutron Source’s linear accelerator, or linac. The details are published in the journal Physical Review Letters. 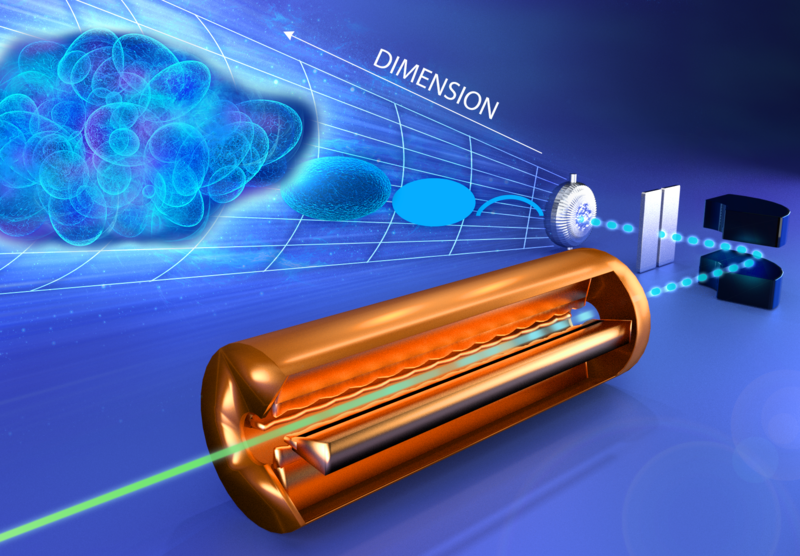 Previous attempts to fully characterize an accelerator beam fell victim to “the curse of dimensionality,” in which measurements in low dimensions become exponentially more difficult in higher dimensions. Scientists have tried to circumvent the issue by adding three 2D measurements together to create a quasi-6D representation. The UT-ORNL team notes that approach is incomplete as a measurement of the beam’s initial conditions entering the accelerator, which determine beam behavior farther down the linac. As part of efforts to boost the power output of SNS, ORNL physicists used the beam test facility to commission the new radio frequency quadrupole, the first accelerating element located at the linac’s front-end assembly. With the infrastructure already in place, a research grant from the National Science Foundation to the University of Tennessee enabled outfitting the beam test facility with the state-of-the-art 6D measurement capability. Conducting 6D measurements in an accelerator has been limited by the need for multiple days of beam time, which can be a challenge for production accelerators. “Because we have a replica of the linac’s front-end assembly at the beam test facility, we don’t have to worry about interrupting users’ experiment cycles at SNS. That provides us with unfettered access to perform these time-consuming measurements, which is something we wouldn’t have at other facilities,” said lead author Brandon Cathey, a UT graduate student. The researchers’ ultimate goal is to model the entire beam, including mitigating so-called beam halo, or beam loss—when particles travel to the outer extremes of the beam and are lost. The more immediate challenge, they say, will be finding software tools capable of analyzing the roughly 5 million data points the 6D measurement generated during the 35-hour period. The PRL paper is titled “First Six Dimensional Phase Space Measurement of an Accelerator Beam.” The paper’s coauthors also include ORNL’s Alexander Zhukov. The Spallation Neutron Source is a DOE Office of Science User Facility. This research was supported by NSF Accelerator Science. The National Science Foundation (NSF: http://www.nsf.gov/) is an independent federal agency that supports fundamental research and education across all fields of science and engineering. In fiscal year (FY) 2018, its budget is $7.8 billion. NSF funds reach all 50 states through grants to nearly 2,000 colleges, universities and other institutions. Each year, NSF receives more than 50,000 competitive proposals for funding and makes about 12,000 new funding awards. UT-Battelle manages ORNL for DOE’s Office of Science. The Office of Science is the single largest supporter of basic research in the physical sciences in the United States and is working to address some of the most pressing challenges of our time. For more information about ORNL and its neutron research capabilities, please visit https://science.energy.gov/.